Discover secret symbols of the Lincoln Memorial, go behind the scenes on the Hill, or build a custom tour made just for you. We're a small company solely dedicated to making your time in DC worthwhile. About me: I have fifteen years of practice in experiential education including teaching about civics and American history, helping people learn through documenting the built environment, and interpreting monuments and memorials. My work has included teacher professional development, museum education, and teaching students in K-12 and out-of-school environments. Find meaning in the memorials, whether you’re from Rome, Italy or Charlotte, North Carolina. See Washington’s most visited sites through a new, inspiring lens; even if you’ve visited before. Share your interpretations, I love listening. And I’m always learning from my younger guests! What makes Attucks Adams different? There are dozens of tour companies in Washington, DC. Some are great at what they do, but many offer the same experience: rushing you through the sites, using scripted deliveries, and taking on too many guests to give everyone personal attention. Attucks Adams is a small company and serves smaller, private groups. Our tours are personalized to you. You'll have time to observe closely, use those observations to form questions, and even then, ask follow up questions. We start on time, move at a comfortable space, and end on time so you're able to make your next appointment, meal, or flight. Overbook. Your private tour is yours. No one else will be on the tour. Our public tours are capped at 10 participants. Give bad info. We won't willingly give incorrect information or false anecdotes. If we don't know a fact or answer, we'll say "I don't know." If it's really important we'll find out and get back to you. Whatever it takes. Rush you. There's a lot to see on Capitol HIll, at the monuments, and inside DC’s vast museums. I think we've picked the best, most important parts to share with you. 1) Read the home page or Reservations page for descriptions of each tour. 2) Call/text (202-681-0046) or email (tim@attucksadams.com) to confirm your tour date and time. 3) Submit payment on the Reservations page. Yes, I am licensed by the Government of the District of Columbia. Tour Guide License number available upon request. Some reviews of the U Street tour -- Read more. Are there reviews I can read? / Where can I leave a review? Here are our Trip Advisor and Yelp pages. Check out reviews of our U Street tour on Airbnb Experiences. For immediate needs or concerns please call directly. The tours occur during rain or shine. In the case of extreme weather such as hurricanes or blizzard conditions I'll call you to update the status of your reservation. Please call ahead of your tour with questions. Full refunds are available for walking tours canceled at least 48 hours before start time. Discover DC bus tours must be cancelled 96 hours in advance for a full refund. How do we connect on social media? So glad you asked: Instagram. Facebook. Twitter. Message, review, tag, and follow. Are we able to reach the tour site using public transportation? Yes! For sites on the National Mall, take the Circulator bus. The National Mall route makes several stops near our tours. For the Capitol Hill Tour, ride the Metro subway to Capitol South Station (Orange, Blue, or Silver Line). Walk to Independence Ave SE and make a left towards Rayburn House Office Building. A third option for getting to all tours is Capital Bikeshare or other shared bicycles. The District has an extensive system of for-rent bicycles. There are dozens of docking stations all over the city, including near each of our tour sites. Contact me to work out another form of payment. I'm flexible. Unless noted, all tours are private. Private tours afford the flexibility to seeing more of what you want in an intimate setting, on your schedule. Public tours offer a chance to meet visitors from all over the world, participating in a shared learning experience. Public tours are generally time sensitive (i.e. Cherry Blossom tours) or tied to events and anniversaries (MLK Holiday tours, Inauguration tours, etc.). All tours are booked on the Reservations page. Originally founded as Liberty DC Tours in 2009, Attucks Adams continues to provide a quality touring experience to visitors of Washington, DC. I changed the name to Attucks Adams in 2015. So, what does it mean? Crispus Attucks was the first person killed in the Boston Massacre and widely considered to be the first casualty in the American Revolutionary War. "The first to defy, and the first to die," Attucks symbolized the beginning of a conflict that would transform the British colonial territory into the United States of America. 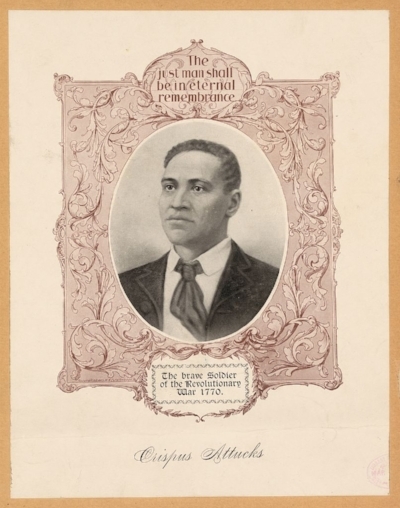 Some of Attucks' personal history and background are lost to history, but he was a person of color and his death at the hands of the British presaged the complex and important role Black folks played in the Revolution and every aspect of American life since. John Adams served as the first Vice President of the United States and the second President of the United States. He was the first President to occupy the newly finished White House. With the Supreme Court, Congress, and the President all operating in the District of Columbia asof 1801, Adams' tenure marked the first time that Washington was fully realized as the capital city and the home to all three branches of American government. Although he served as President, John Adams is also known as the lawyer for a British Captain Preston -- charged with murder of Crispus Attucks and others at the Boston Massacre. Under Adams' representation, Preston was acquitted.